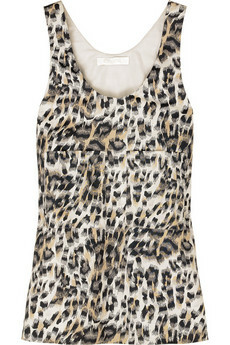 Animal prints & skins have been there previous Spring and are coming back this Spring. Many designers as Christopher Kane, Cavalli and Bernard Willhelm show us that there are many summer alternatives to traditional animal skin prints (like leopard prints). The animal print trend has developed so fast this year, that it now includes other animal skins, like: zebra, crocodile, cheetah, ocelot, jaguar, cow, giraffe,... Another way that this season trend is growing, is by using bold animal images on the entire outfit like Christopher Kane. 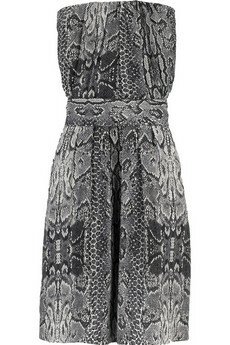 Animal prints add an exotic flair to any fashion wardrobe and generally look great on any body type. If you're normally an understated dresser and you're not fully convinced of this trend, then you can stay with accessories too: even a leopard clutch or zebra wedges can spice up your entire outfit if you combine it right. The main key with this busy trend, is to keep the rest of the outfit simple! Love this trend, especially that Matthew Williamson peacock frock! animal print is always in! 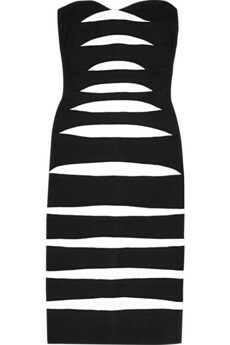 im still lusting after the christopher kane dress. its so cute! 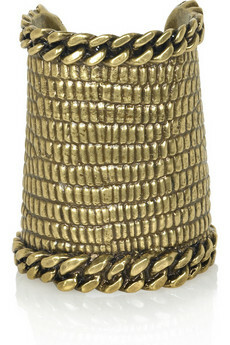 Great picks, dear, love that cuff. I just find it a bit difficult to wear, but I love the trend. 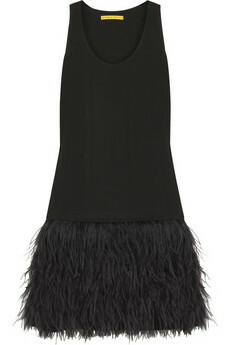 They are all wonderful but my favorite is the Alice&Olivia feather fringe dress. It's very Breakfast at Tiffany's. Love it! Lovely choices - I didn't used to like animal prints, because a lot of outfits can look tacky, but it's really grown on me. 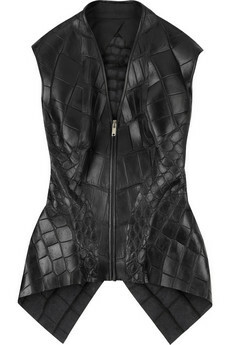 Love the Christopher Kane piece! I love anything animal or tribal infused :) thanks for the comment, honey! I love the cuff and the first dress, wow! Dat jurkje van Kane vind ik zo geweldig! Leuke blog!